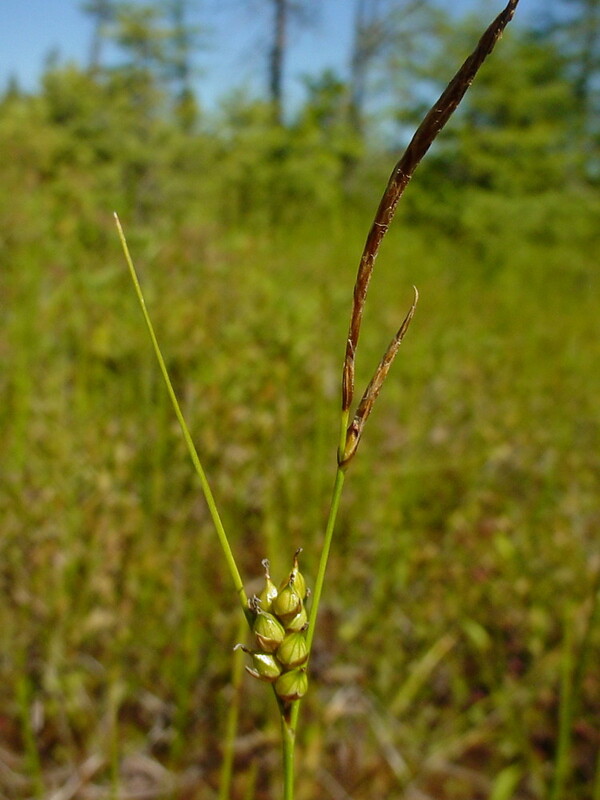 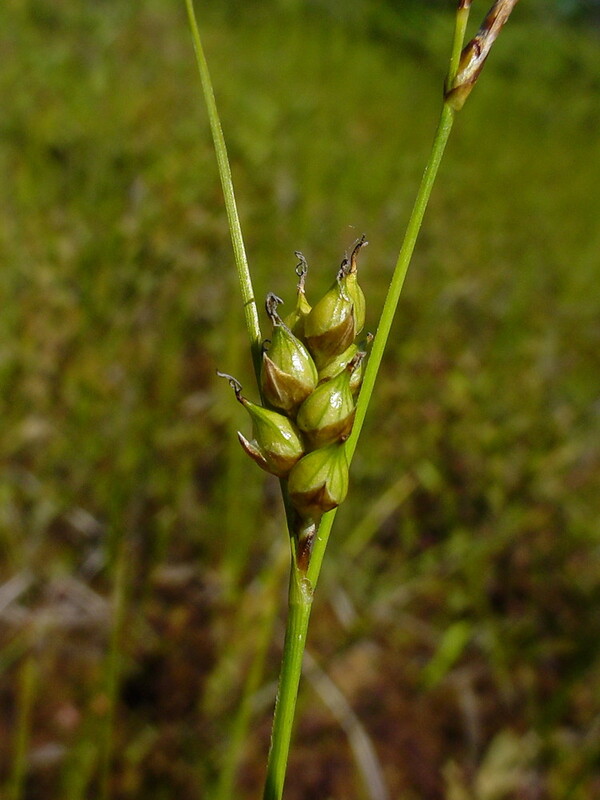 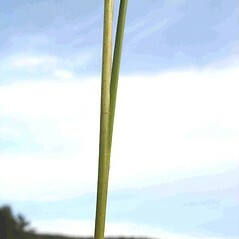 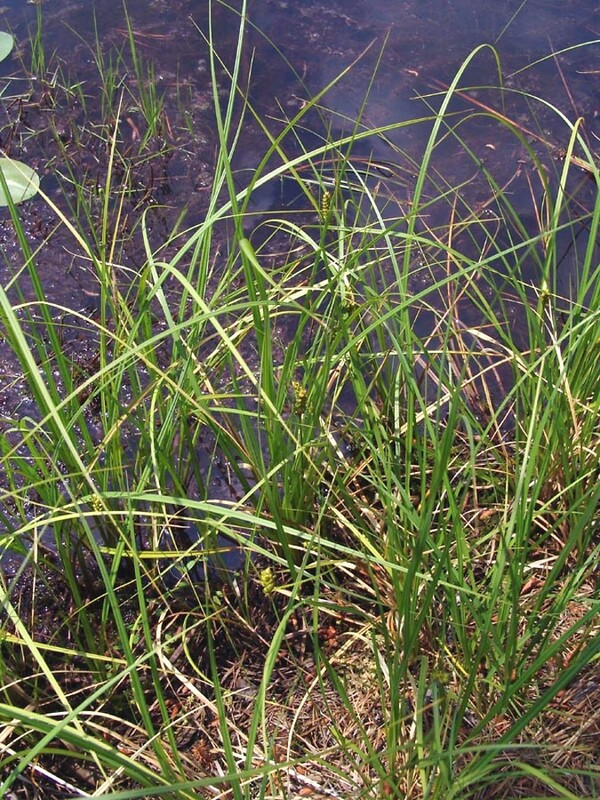 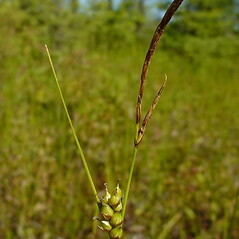 Few-seeded sedge is a sedge of bogs, acidic fens and wet meadows. 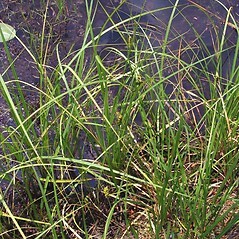 The Iroquois made a decoction of this plant that they used as an emetic before running or playing lacrosse. 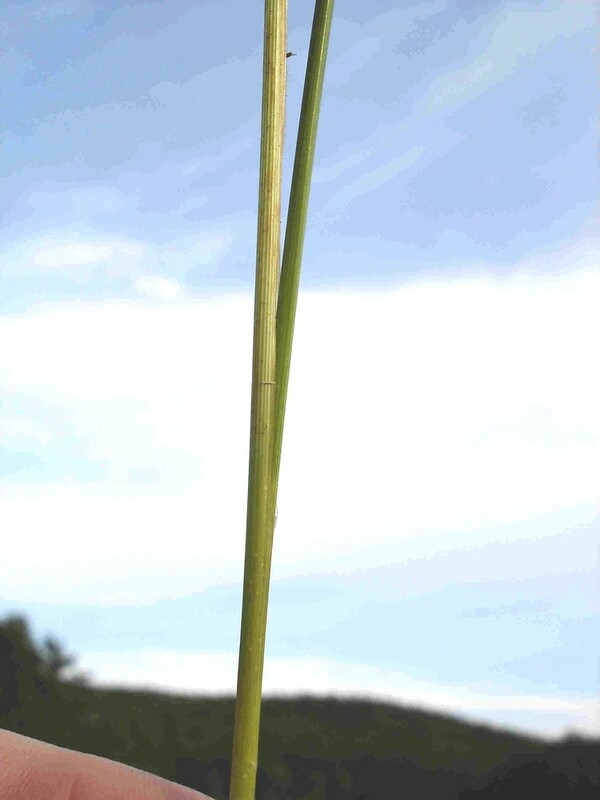 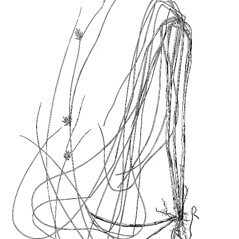 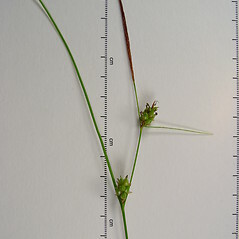 flowers with 2 stigmas, achenes biconvex, and perigynia obscurely veined (vs. C. oligosperma, with carpellate flowers with 3 stigmas, achenes triangular in cross-section, and perigynia distinctly veined). 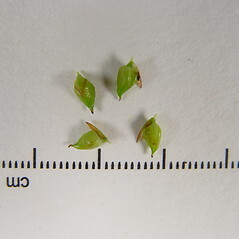 perigynium beak 1.1-2.6 mm long, with two evident, terminal teeth, and leaf blades flat to V-shaped, with plane margins, 1.8-6.5 mm wide (vs. C. oligosperma, with the perigynium beak 0.3–0.9 mm long, obscurely bidentate at tip, and leaf blades filiform, with involute margins, 0.5–2.5 mm wide). 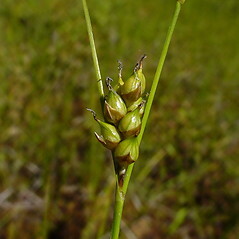 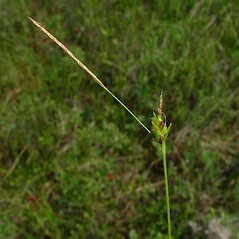 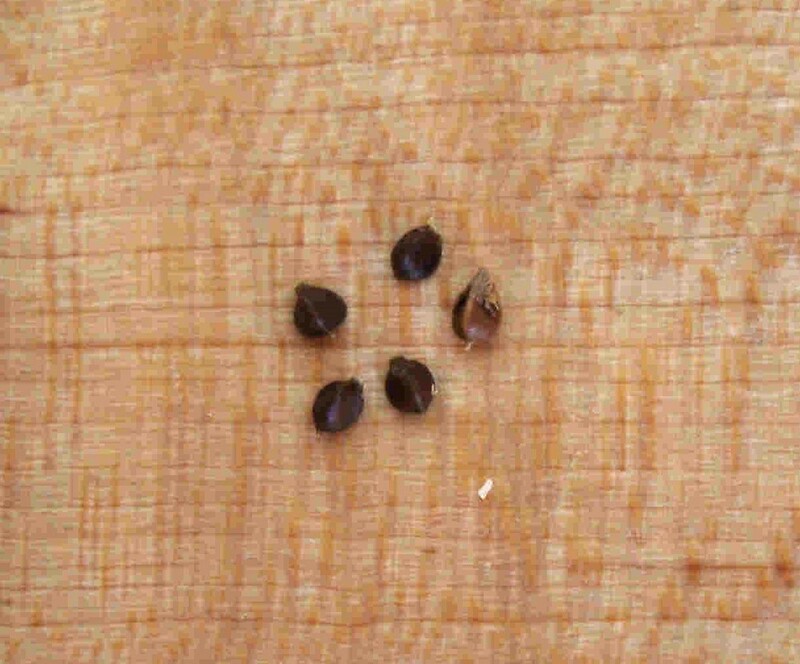 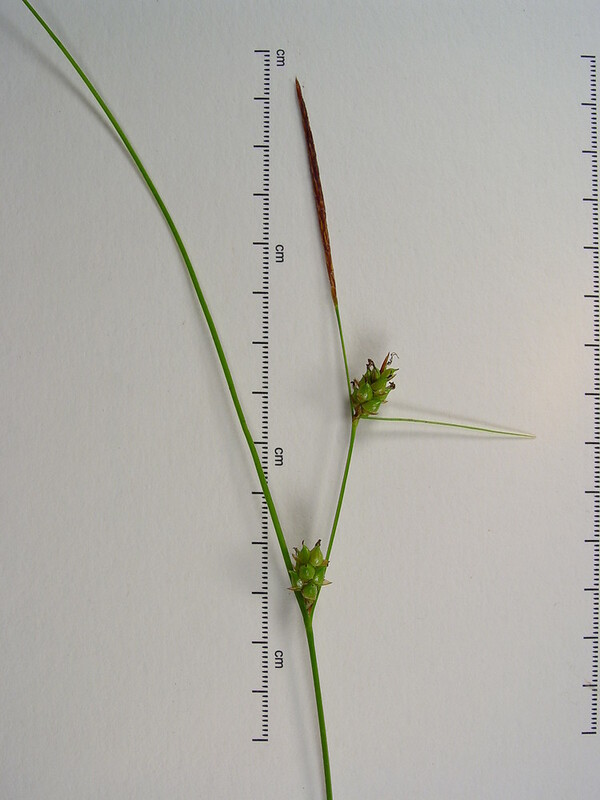 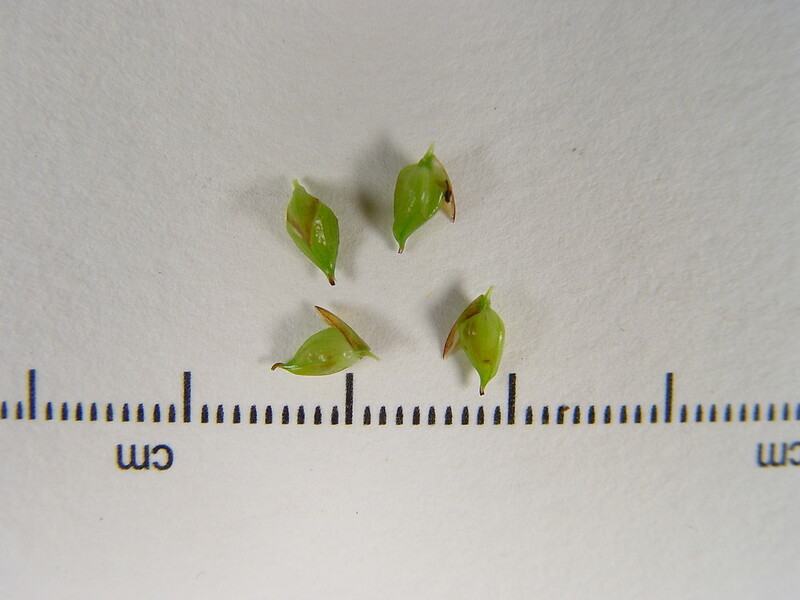 few-seeded sedge. 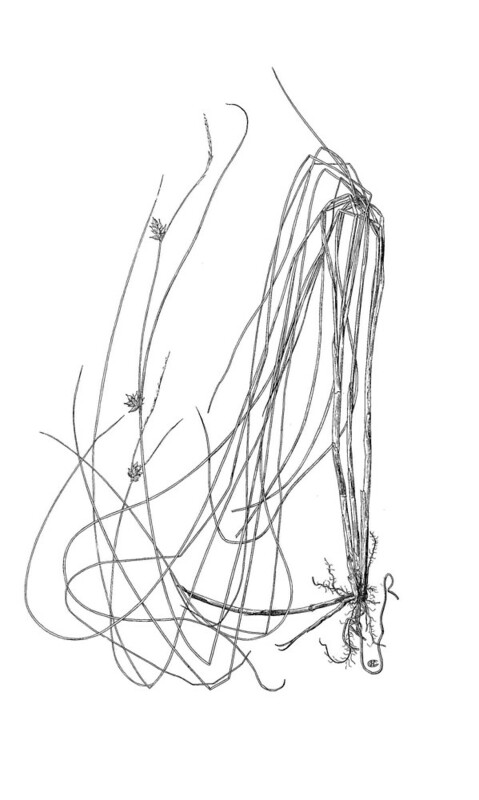 CT, MA, ME, NH, VT. Bogs, acidic fens, and wet meadows.